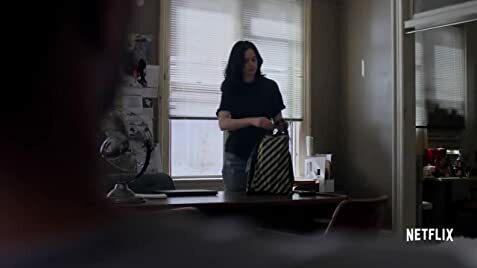 Netflix Kills Off "The Punisher" and "Jessica Jones"
How many episodes of Jessica Jones have you seen? 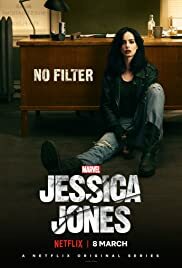 Ever since her short-lived stint as a superhero ended in tragedy, Jessica Jones has been rebuilding her personal life and career as a hot-tempered, sardonic private detective in Hell's Kitchen, New York City. Plagued by self-loathing and a wicked case of PTSD, Jessica battles demons from within and without, using her extraordinary abilities as an unlikely champion for those in need. Especially if they're willing to cut her a check. This is honestly great! I can't understand why some people review this series so badly. I admit I was reluctant at first as to what my opinion of this show was and whether it was something that I could regularly follow, however I quickly warmed to it and grew to appreciate its dark tone. This darker take on a Marvel superhero makes for quite a refreshing change, since Marvel's work is more than often aimed at a child audience. This show has a great plot which grows increasingly tense, intriguing and revealing as it progresses, and its characters are all finely crafted as likable yet unconventional heroes and David Tenant is actually quite effective as the repulsive and psychotic villain Kilgrave. The action and effects are also consistently good, however I personally enjoyed watching this series more for its story and character development. I would definitely recommend this series and very much eagerly await its next season which this one suitably sets up in the finale.